Looking at the roadmap I see that neither upcoming nor the backlog contain anything for consoles. Shall we assume that console support has come to an end? If you check on it today you see quite something different for the Consoles. Just don´t expect newest Season(s), and very well Upcoming Touch of the Omnissiah to be available for Consoles for another 2-3 months. But besides, when thinking about ingame DLCs, items and other stuff, they should make some exclusives for PC Version ONLY as well. You Console players do have a couple items not even the slightest available for PC players. It may seem confusing, but every content (Seasons, DLCs, major updates as well as fixes) will come both to PC and console, the only difference is in the release dates. 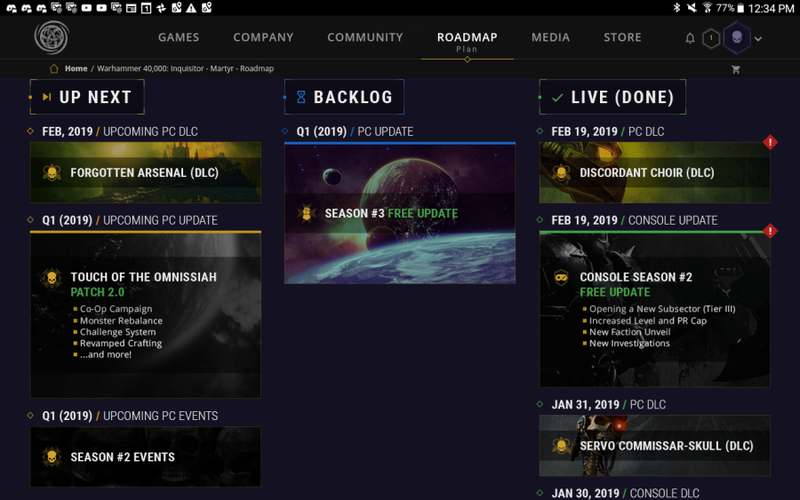 We keep the Roadmap updated so its best to check on it from time to time!